"100% Egyptian cotton with a slubby texture for, well, for the sake of texture. 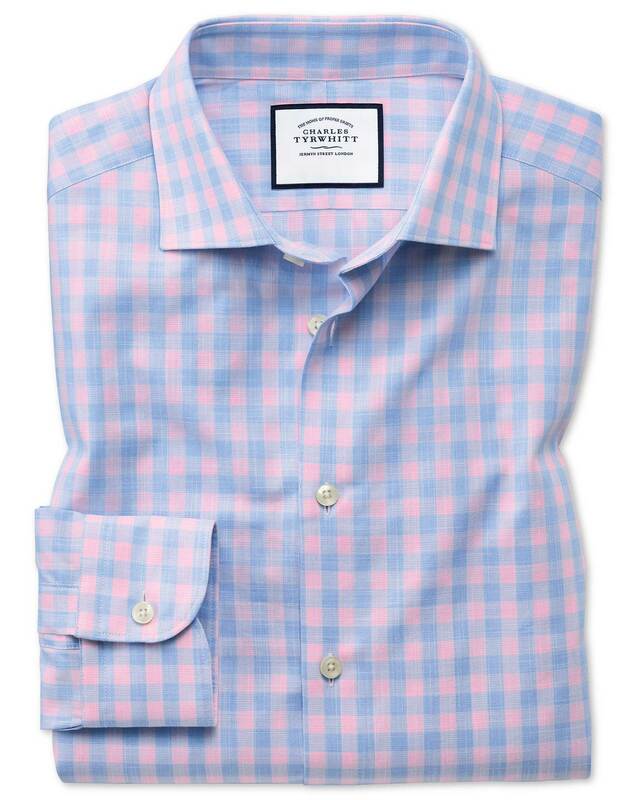 It adds an elegant, rough element to this ultra-refined shirt, making it perfect to build business casual looks from. A refreshing change from the ultra-polished fabrics, smart in an utterly modern way." "Business casual shirts made from 100% Egyptian cotton with a slubby texture, styled with a semi-cutaway collar." This fit and fabric were very nice. The only drawback is that since this was not non-iron the shirt really wrinkles easily.